Well by Silicon Valley standards, that certainly wasn’t a long “stealth” period. Just weeks after he quit Digg, Kevin Rose is announcing details of his new startup. Knowing Rose, I can tell why he’s so excited to get started. He’s constructed a company that plays perfectly to his strengths in the early days– but will test his weaknesses long term. It’s called Milk, and it’s going to be a development lab in San Francisco’s hipster Mission District for mobile Web ideas. Along the Silicon Valley grapevine people have been calling it an “incubator,” but that term usually implies an organization that accepts entries from would-be entrepreneurs, funds them and helps groom them for the real world. That’s not Milk’s playbook at all. Milk is not only counter to the typical incubator thinking– it’s counter to a lot of Valley trends right now. Rose and a team of just five other coders, designers and thinkers are going to set out to solve a handful of big old-industry problems using the mobile Internet. A year from now, he expects the company won’t have launched 20 small, cool ideas, but it will have developed four-to-six big, audacious ones. Unlike a traditional incubator, Rose’s hope is these ideas are so out-there that several will fail, and one or two will become viable companies that have a big impact. And a year from now, he expects Milk will still be a small, elite team of less than ten people– a world apart from the talent landgrab going on in the Valley today. “We’ve been upfront with investors that the lab’s companies are going after big ideas, not launching continuous small projects,” he said in an interview yesterday. “There is so much opportunity to disrupt old media and old business.” So no Kevin Rose take on a mobile photo sharing app? “No,” he laughed. “Nothing like that.” Wow–that alone is counter–Valley thinking these days. Rose has always had a flood of creative, disruptive ideas, but he has struggled to focus on developing the good ones. He says part of that was the architecture of Digg, which constrained how quickly he could build them, endlessly frustrating him. But this environment will allow his team to throw ideas out in the world quickly, see how they do, and kill the ones that don’t perform. The latter is something that doesn’t happen enough in the Valley, he argues. “People talk about pivoting all the time now, but if something isn’t working after four months, we’ll just shoot it in the head and start again,” he says. Milk also reunites Rose with his designer from Digg’s glory days Daniel Burka. The two of them can lose days brainstorming on product ideas– one of which was the short-lived but pretty file sharing service Pownce. I once described Burka as the Robin to Rose’s Batman– an analogy Rose liked a good deal more than Burka did. “Robin is the worst superhero!” he moaned. Burka had been at Glitch, an online game built by Stewart Butterfield’s Tiny Speck. 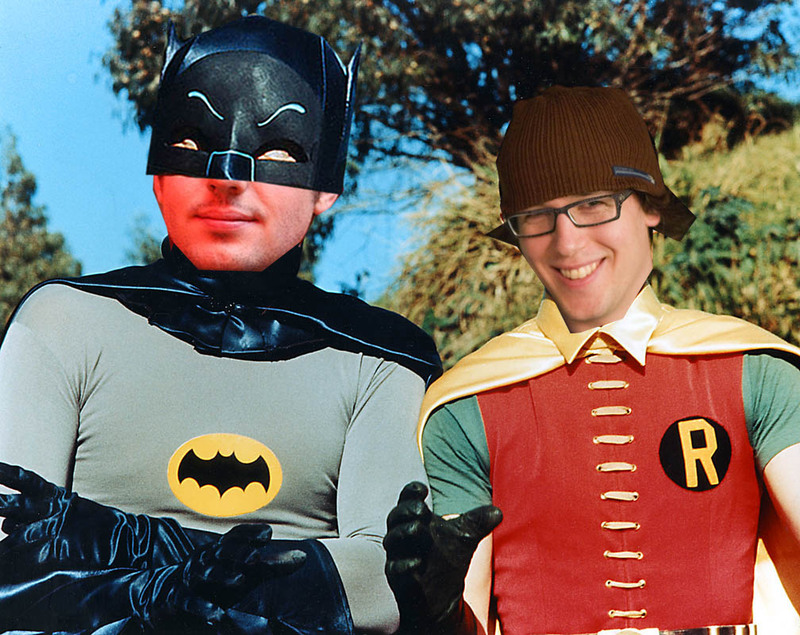 Burka says he loved working at Glitch, but couldn’t pass up the opportunity to be Robin again. (Sorry, Daniel.) He officially joins Milk as a co-founder today. But reuniting of Batman and Robin aside, this isn’t a Digg do-over. This time around, Rose is the CEO and says he’ll remain the CEO– that’s a huge change from the early days of Digg when he wanted nothing to do with the business and only wanted to innovate on the product. “I’ve grown a lot in the last six and a half years,” he says. “I didn’t know what I was doing at Digg, and I gave away too much control. That’s part of the reason I got antsy at Digg. I know the mistakes we made at Digg, and I’m excited to start something new and ready to do this as a CEO.” Rose wouldn’t share details on the funding announcement, but we’ve heard it’s just a matter of finishing up the paperwork and that the roster includes a lot of Digg’s investors. I’ve always seen a lot of similarities between Rose and Evan Williams. Williams, too, eschewed the idea of being the CEO after Odeo saying he never wanted to be “the guy” again. Then a year later, he took over as CEO of Twitter. Now, Williams has left Twitter and is getting back to his product roots too, with a new quiet company. If I had to guess, I’d say it’ll be reminiscent of Pyra Labs, which spawned Blogger, and Obvious, his product lab that spawned Twitter. There are a lot of similarities between that idea and what Rose is building with Milk. And we hear Williams has been looking at office space in the Mission as well. It’ll be interesting to see what the two will come up with unencumbered from big companies and existing products.